Kevin Hillstrom: MineThatData: We Like Transitional Customers, Right? We Like Transitional Customers, Right? First of all, we have to consider just what the heck a "Transitional" customer is. Nearly 70 projects and more than 325 client-years of data help tell the story. Modern catalog brands possess a housefile with about 50% (often more) of customers who are "Transitional". This is a customer that was likely acquired via classic direct marketing techniques (catalogs), and over time, the customer migrated from telephone orders to online orders sourced from a catalog to search/email fueled orders. In other words, this is a customer that evolves as technology evolves. And this is where we make a big mistake. We continually try to "bolt" this customer to our heritage, our history. We have transaction history. We know this customer historically purchased from catalogs. And when you mail 18 catalogs a year, each with a 3 week matchback window, well, it's a guarantee that we'll match every online order back to a catalog, right? But this customer is "transitional" ... over time, the customer is shifting away from old-school marketing ... much like the general population. We mistakenly attribute all these online orders to the catalog, acting as if this customer is a "traditional' customer. We're better off not looking back (matchback/attribution). We're better off looking forward. I find that +/- 40% of orders from this audience are incorrectly attributed to catalog mailings. And oh boy, does this get me in trouble with some of you!! But that's what a "transitional" customer is all about. These customers are mysterious, unpredictable, changing. They're hard to predict, too. 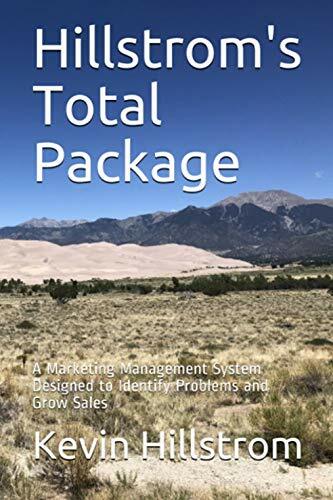 A "traditional" spends the same amount, every month, every year ... enabling the science of RFM segmentation and Demand per Thousand Pages Circulated Square Inch Analysis to thrive. The "transitional" customer buys from a catalog, then via search, then without any attribution, then via email ... who knows what this customer will do next?! There's a lot to like about these customers, we get to learn, folks! These customers signal what our business is likely to be like in three to five years. If we manage our business properly, then the number of "Traditional" buyers should shrink over time. If we manage our business properly, then the number of "Transitional" buyers remains the same over time (if "Transitionals move to "Transformationals") or grows over time (as "Traditionals" move to "Transitionals"). So a simple rolling twelve month buyer file analysis tells us a lot about how we're managing the future health of our business. So we like "Transitionals". They push us to learn more about our business. They enable us to save a boatload of traditional advertising dollars, allowing us to be far more profitable.